San Francisco: Under “Project Loon”, Alphabet-owned Google teamed up with AT&T and flew Internet balloons to bring back basic communication in parts of hurricane-ravaged Puerto Rico, reports said on Saturday. “The search giant announced some balloons from its ‘Project Loon’ programme had been deployed over Puerto Rico, in an effort to provide people with limited internet access”, CNET reported. The balloons have been deployed to give users of LTE phones basic access to the Internet and text messaging in parts of the island hit hardest by Hurricane Maria. The Federal Communications Commission (FCC) had earlier provided consent to Alphabet’s application, which included letters and emails from eight wireless carriers in Puerto Rico, for “Project Loon” to use their frequencies for disaster relief and to restore limited communications. Each “Loon” balloon can serve up to 5,000 square km so the fleet is expected to provide service over all of Puerto Rico and potentially parts of the US Virgin Islands. 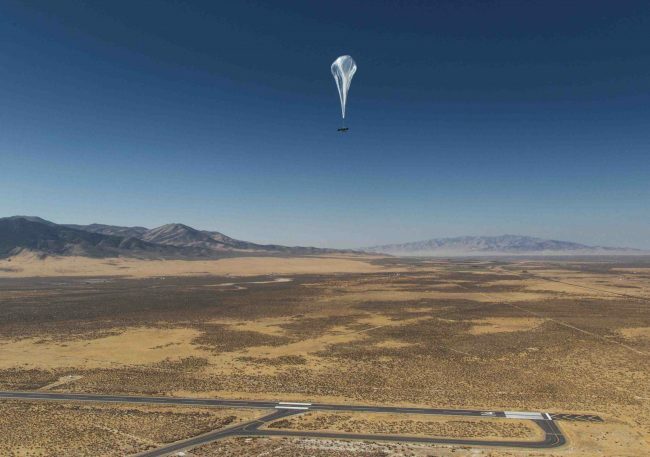 “‘Loon’ needs to be integrated with a telco partner’s network, the balloons cannot do it alone,” an Alphabet spokesperson was quoted as saying. Alphabet has previously deployed “Loon” to provide emergency phone service in Peru following flooding there earlier this year.